We are pleased to present an interview with Ken Konkin who advises TUDOR GOLD with geological consulting services. Ken Konkin examined the large, 17,130 hectares ‘Treaty Creek’ property in September 2018. 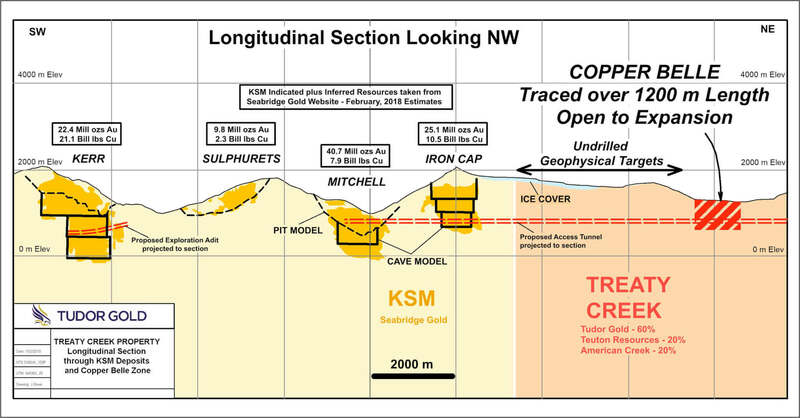 The ‘Treaty Creek’ property is located on the border or within a few km to world-class projects such as the ‚KSM‘ project (114,9 million ounces gold) from Seabridge Gold or the ‚Snowfield‘ project (34,9 million ounces gold) from Pretium Resources. The interview was conducted by Carsten Ringler from Ringler Consulting and Research GmbH. TUDOR GOLD (TSX-V: TUD, Frankfurt: TUC.F) is an exciting exploration company focused on precious and base metals projects in the Canadian province of British Columbia. All 10 projects are located in the famous “Golden Triangle”, an area that hosts multiple past producing mines and several large world-class deposits that are approaching potential development. The Company has a 60% interest in both the Electrum and Treaty Creek properties; – other 100% owned projects, or earn-in options include Mackie, Doc, Eskay North, Orion, Fairweather, Delta and the High North properties. Walter Storm is the CEO of the company. Mr. Storm became known in the gold mining business in Canada through the seed financing of Osisko Mining. Osisko Mining is a major gold producer in Quebec, which was funded, inter alia, by a German holding company (Eurasia), in which Mr Storm held a controlling interest and served as chairman of the supervisory board. During Mr. Storm’s tenure, not only did Eurasia finance the founding of Osisko Mining in 2004, but it also helped the company become a world-class gold mine with a market capitalization of approximately C$ 4.50 billion. Welcome Ken to this interview. Firstly, I want to congratulate you for winning the AME (The Association for Mineral Exploration) award last year for your pivotal role in the discovery of the world class deposit ‘Valley of the Kings’ which is owned by Pretium Resources. Could you please tell our readers some highlights of your biography as a professional geologist? Thank you for this opportunity to give you some thoughts and opinions about TUDOR GOLD Corp and specifically the Treaty Creek Project. Like most success stories in the exploration world, my story begins with having a solid technical and financial team working together as a unit gaining critical information as quickly as possible in order to “fast-track” the exploration programs. Technical preparation was the key to our success at Snowfields and at Brucejack Lake. Initially we were given modest budgets but the quality of data that we had inherited and new data that we were able to generate helped advance the project rapidly. I don’t think it’s fair to take any specific credit for success at Snowfields nor the Valley Of The Kings Deposit at Brucejack Lake. Clearly this was a team effort. I was the Project Manager for both of these projects for seven years between 2006 and 2012 when the majority of surface exploration took place. I’ve spent over 38 years searching for precious and base-metal deposits throughout North and South America as well as Russia. No doubt, the Golden Triangle is one of my favorite places to explore. Early in my career I spent many years exploring numerous properties for numerous companies between 1983 to 2004 from Alice Arm to the Atlin, B.C.. This recent trip to Treaty Creek was however my first trip there since my work in 1987 for Teuton Resources. Much has changed in over 30 years. 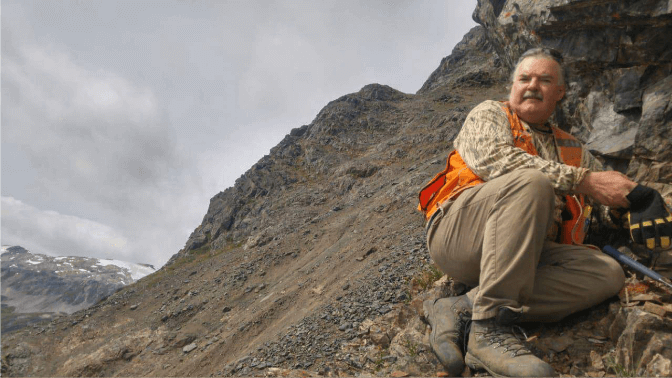 Ken, you are one of the best known and successful geologists in the Golden Triangle region. You have been at the ‘Treaty Creek’ property recently. What was your first impression and thoughts when you visited the site? Did you have the chance to study historical field data and results from the last drill season? Recently I completed a five-day geological examination of Treaty Creek in mid-September and I did have a chance to examine some of the core from last years’ drilling. I was impressed as to the similarity of some of the mineralization seen at Copper Belle and that of the Snowfields Gold zone. Although the rocks were very similar between the two, the alteration was much stronger within the specific mineralized zones at Copper Belle as well the level of pyritization was also stronger. This broad-type of alteration and mineralization is commonly associated with intrusive-related hydrothermal fluid systems from regional events. In other words, these systems tend to part of large regional events such as those found at the neighboring Seabridge and Pretium properties rather than smaller localized events. How do you judge the outlook of ‘Treaty Creek’? Are there some positive facts and advantages of TUDOR GOLD concession rights in comparison to the neighbors Seabridge and Pretium? Clearly there are numerous similarities between the three projects as far as some of the geological parameters are concerned. Yet the logistical advantage lies with Treaty Creek solely based on location and access. The cost of developing a deposit at Treaty Creek would be much less challenging than that at either Snowfields or Seabridge. Pretium has done an excellent job in solving its access issues and successfully constructed one of the highest power transmission lines in North America. Treaty Creeks’ Copper Belle Project is less than half the distance to the highway and any potential construction of roads and infrastructure would be much less challenging than what Pretium faced and what currently faces the Seabridge team. The ‘Treaty Creek’ property is part of the Sulphurets hydrothermal system in the Golden Triangle. Can you please elaborate to our audience the significance on a regional and international scale? One of the most unique aspects of the Treaty Property is that it is underlain by host rock-types that include age ranges from as old as the Upper Triassic all the way to and including all the Upper and Lower Jurassic rocks types that host the major deposits within the Golden Triangle. As well, major regional structures that play important roles in the genesis of these deposits which also occur at Treaty Creek. However, I don’t believe that this area has been recognized internationally for it’s vast exploration potential just yet as the majority of the discoveries have been made by the junior exploration companies. Most of the world-class precious and base-metal deposits that lie within or very near populated areas of the world have already been discovered. That leaves the less-populated areas such as the Golden Triangle. Pretium serves as an example of how a world-class gold deposits can be discovered, drilled-off, permitted, developed and constructed all within seven years. Excellent! Many thanks for the insights I gained on your view about TUDOR GOLD and the interview. Ringler Research, the information portals uranaktien.info, uraniumstocks.info, silberaktien.info, silverstocks.de, zinkaktien.info and zincstocks.info are brands of Ringler Consulting and Research GmbH based in Germany. Our Research-Boutique offers a wide range of consulting services for mining companies and institutional capital market participants. This includes the generation of bank-independent research reports, specialist articles and interviews, which are made available to hundreds of thousands of capital market participants through a variety of channels. Also, complex campaigns are designed for mining companies, with the goal to increase the visibility and awareness in the capital markets community.